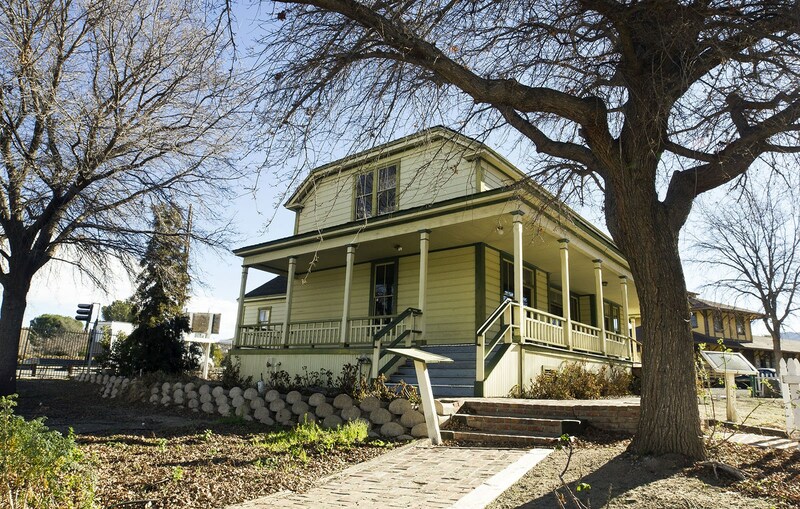 SCVHistory.com NL1501 | Castaic Junction | Map: Original Location of Newhall Ranch House. 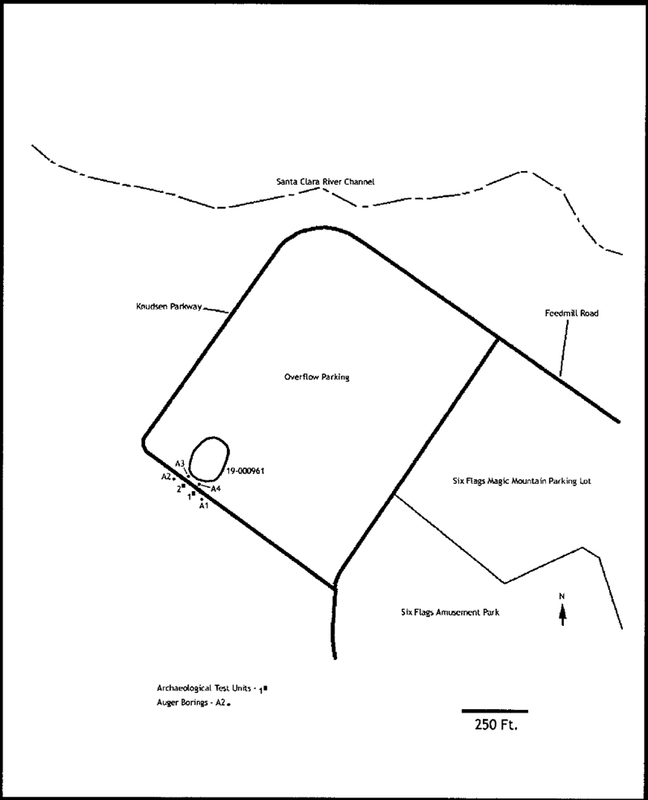 Original location of the Newhall Ranch House which is archeological site CA-LAN-961 (aka Site 19-000961). 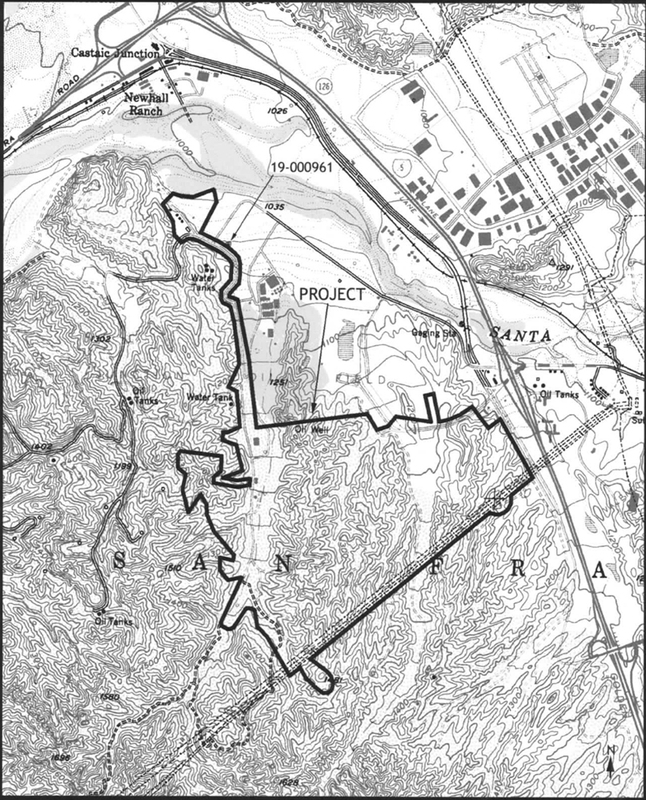 Maps from Appendix 5.5 of the Draft Environmental Impact Report for The Newhall Land and Farming Co.'s Entrada South project. 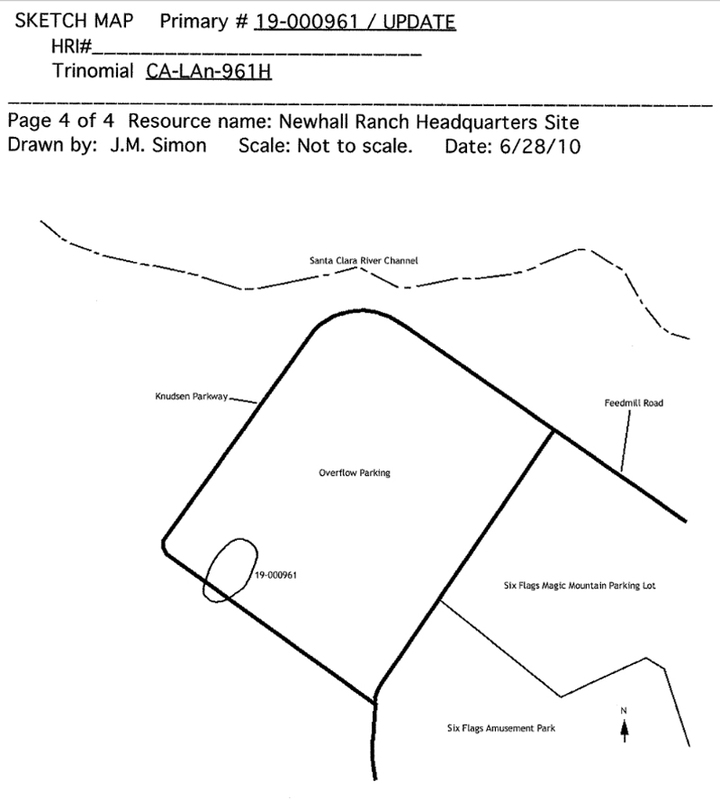 According to the accompanying report dated May 18, 2014, W&S Consultants of Simi Valley (archaologist David S. Whitley and partner Joe Simon) conducted a Phase II archaeological test excavation of the original Newhall Ranch House site to determine whether any cultural materials had been left behind when the house was moved. "Limited subsurface test excavations and an intensive surface inspection failed to reveal and evidence that cultural resources are present..." (scroll down for map of test holes). "Development of the project site, therefore, will not result in adverse impacts to cultural resources. As a result, it is recommended that no additional archaeological work be required at the Entrada project site," Whitley and Simon concluded.